Marionette lines are the lines from the corner of the mouth to the chin, shown in the image below. As we age these lines become deeper and can give a sad appearance to the lower face. Marionette lines can be treated with dermal filler. Think of dermal filler as a product that can either replace lost volume or reduce shadows in areas where you did not used to have shadows. Dermal filler can be places in the marionette lines to provide more support for the area to reduce the appearance of the lines. Treatment of the marionette area can lift the mouth corners and prevent downturning of the mouth which can sometimes give a glum appearance to the lower face. How much does marionette line treatment cost? We usually recommend starting with 1.0ml – 2.0ml of dermal filler to this area, with a view to reassessing the treatment after 10 days. 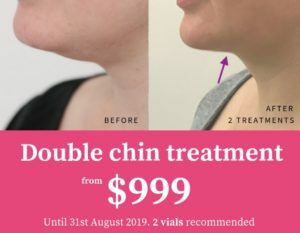 Dermal filler costs from $650. Have a read of our cost page for an idea of price. The video below shows Bianca Quon from Cityskin talking about how dermal filler can treat marionette lines and reduce the shadows in that area. How do we treat marionette lines? How long does dermal filler last in the marionette area? Effects should last upwards of 12 months, depending on the filler used. 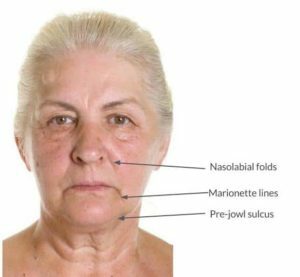 What are the risks of treating marionette lines? The marionette area can be prone to bruising, and this bruising risk is increased if you are taking warfarin or aspirin. Do not stop medication without first asking your Doctor for advice. If needed – contact us directly for advice.